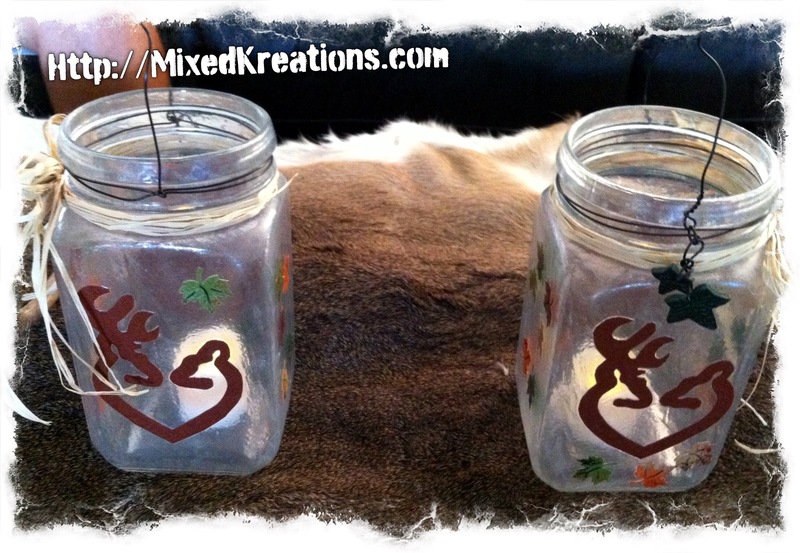 Here’s a couple of tea light lanterns that I made for one of my daughters and her husband. They are big into hunting, so I made them with the joining deer head image. I made these so when they sit out on their porch they could have a little bit of light, and still have a touch of hunting decor. 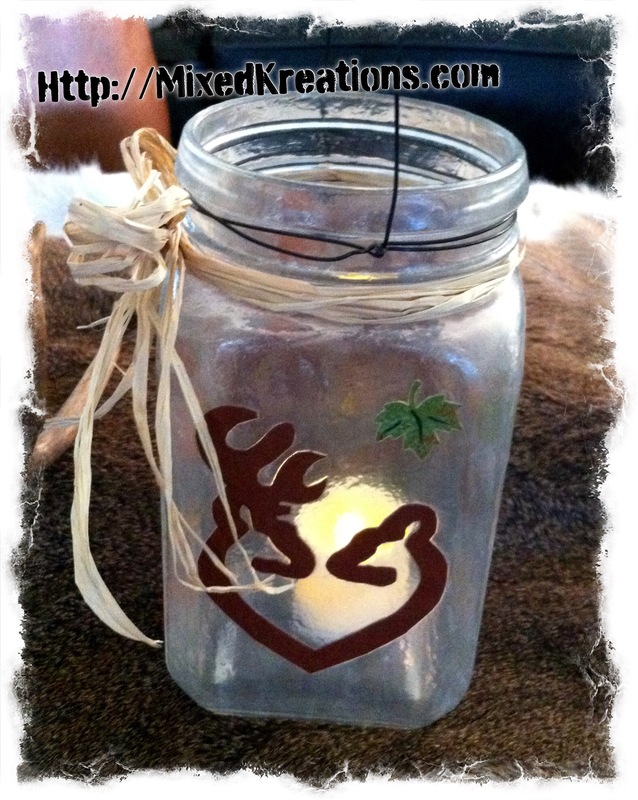 To make these I cut out the deer heads with heart, and used a craft punch to cut out the leaves. Then I mod podge the cutouts on my jars. Once dry I mixed just a little coffee granules with mod podge and applied that over the entire jars to give them an aged appearance. Finished it off with a wire to hang it by, polymer clay leaves to dangle off the wire, and some raffia. 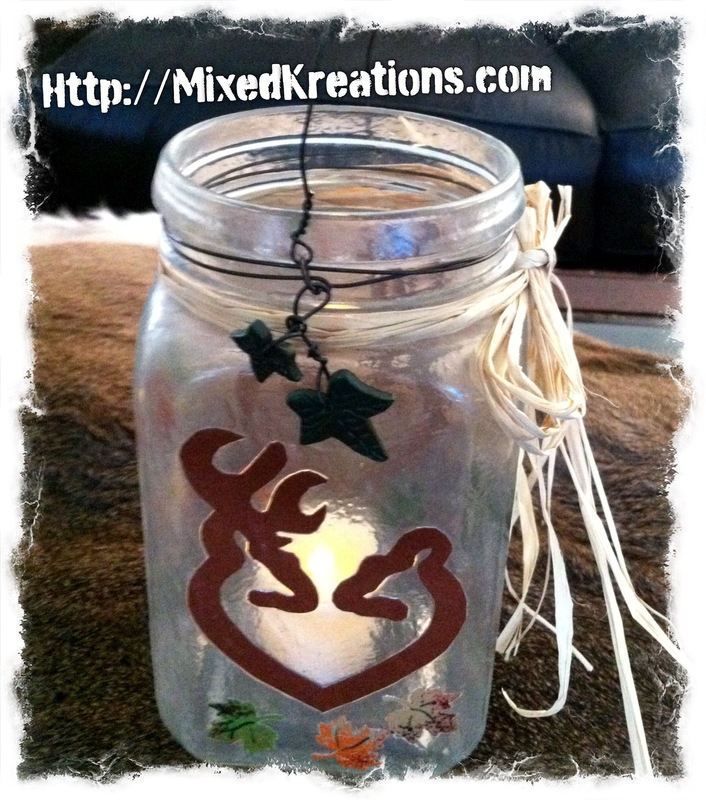 Have you made any tea light lanterns from old jars? Oh My Linda these are really cute. I love the little deer in the front. Those clay leaves are also pretty. What a great project. Thank you Mary! This was a fun project, and I think the first that I tried the mod podge and coffee mix on. Loved the results! I made the leave out of polymer clay. We have a love hate relationship, LOL.